Baylor's Political Science Department is renowned for its high quality teaching and for professors who care about students. Our majors have gone on to become lawyers, journalists, politicians, lobbyists, diplomats, political analysts and teachers. We place students in top law schools around the country such as Georgetown and Harvard, and in top graduate programs such as Yale and Princeton. "What is America?" Conference Aug. 8, 2018 From June 25-July 3, current and former graduate students in the Baylor University Political Science Department attended the twenty-third Jack Miller Center Summer Institute in Philadelphia, Pennsylvania, “What is America?” Invited participants included Matthew Brogdon, assistant professor of political science at the University of Texas, San Antonio; Kevin Burns, assistant professor of political science at Christendom College; and Jordan Cash, Pre-Doctoral Research Specialist in the University of Virginia’s Program on Constitutionalism and Democracy. Among the prominent scholars who participated were Michael Zuckert (Notre Dame), James Ceaser (University of Virginia), Benjamin Kleinerman (Michigan State), Peter Onuf (University of Virginia), and Diana Schuab (Loyola University of Maryland). Baylor students attend Conference on “Moral Foundations of the American Constitutional Order” Aug. 8, 2018 On June 11-15, Baylor graduate students from the Political Science Department attended the inaugural summer seminar on “The Moral Foundations of the American Constitutional Order” at Princeton University, co-sponsored by the James Madison Program in American Ideals and Institutions and the Witherspoon Institute. Among the topics covered were the historical approaches to the Founding, religion and the Founding, slavery, and common law. Participants came not only from the United States, but also the United Kingdom, Poland, and China. Baylor invitees were Joseph Griffith, Hannah Norman, Jordan Cash, and Debbie O’Malley. Next year Norman will be completing her second year in our doctoral program, Griffith will teach at the Rochester Institute of Technology, Cash will serve as Pre-Doctoral Research Specialist in the University of Virginia’s Program on Constitutionalism and Democracy, and O’Malley will serve as the inaugural Daniel Patrick Moynihan Postdoctoral Fellow at Assumption College. 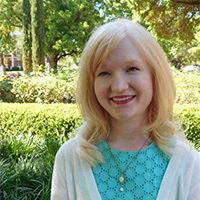 Dr. Elizabeth Amato Publishes Book Aug. 8, 2018 Elizabeth S. Amato, who received her PhD from Baylor’s Department of Political Science in 2011, recently published “The Pursuit of Happiness and the American Regime: Political Theory in Literature” with Lexington Books (2018). 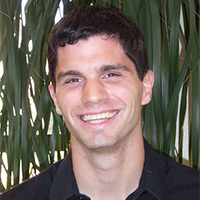 Dr. Amato is an assistant professor of political science at Gardner-Webb University in Boiling Springs, North Carolina. 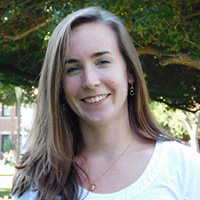 She has also held a postdoctoral position at Michigan State University. She has published articles on Walker Percy (in A Political Companion to Walker Percy, the University of Kentucky Press) and on Tom Wolfe (Perspectives on Political Science). AHI-Baylor Conference on “Cicero: Statesmanship and Constitutionalism” and AHI Announces the Annual Mary and David Nichols Conference in the Great Books Jun. 26, 2018 On May 9-10 at Baylor University, the Alexander Hamilton Institute for the Study of Western Civilization (AHI) and the Department of Political Science, Baylor University, held their tenth annual summer conference. Daniel Burns, Associate Professor of Politics, University of Dallas, served as the discussion leader for the conference on “Cicero: Statesmanship and Constitutionalism.” Robert Paquette, Executive Director of the AHI, announced that the conference in the future would be named “The Mary and David Nichols Annual Conference on the Great Books” in honor of their organizing these conferences in the past.